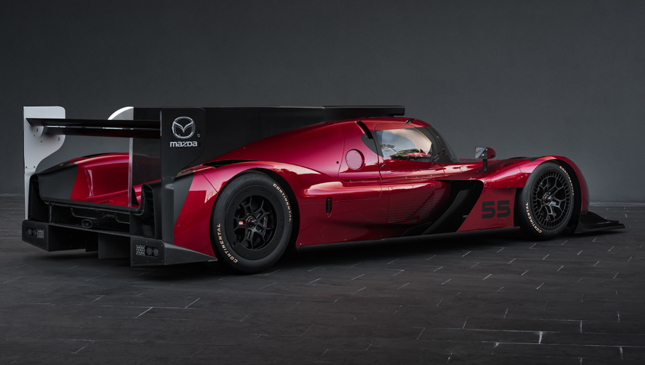 Mazda is a company which definitely has its style game on point. 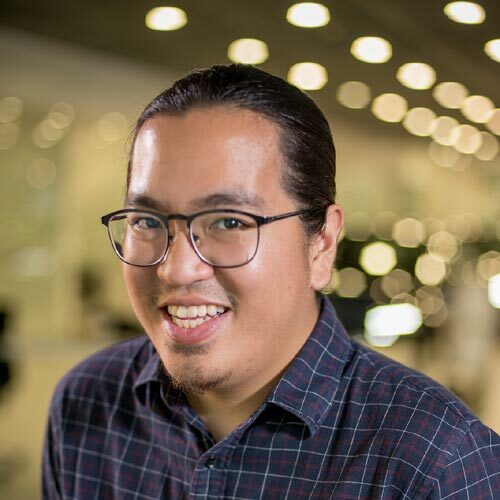 Time and time again its vehicles—roadsters, crossovers and just about everything in between—have shown that when it comes to looks, the Japanese carmaker is one of the best in the business. 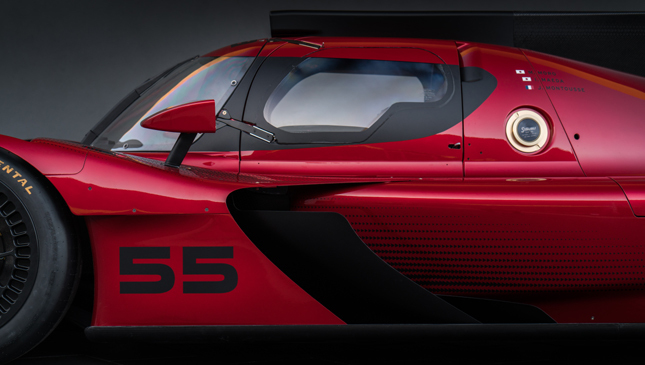 And as you can see above, if we're talking Mazda, there are no exceptions. 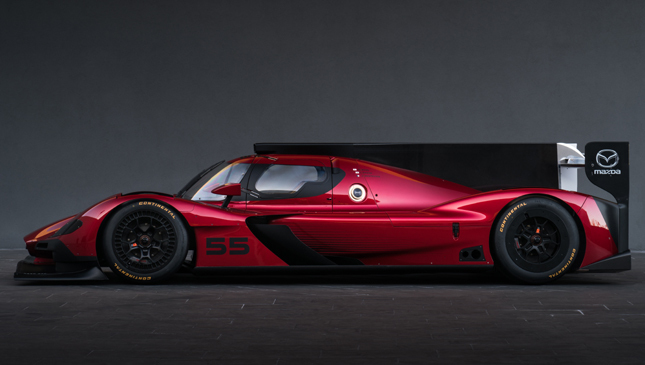 The eye-catching vehicle you're looking at is the company's RT24-P, Mazda Motorsport's newest pride and joy. 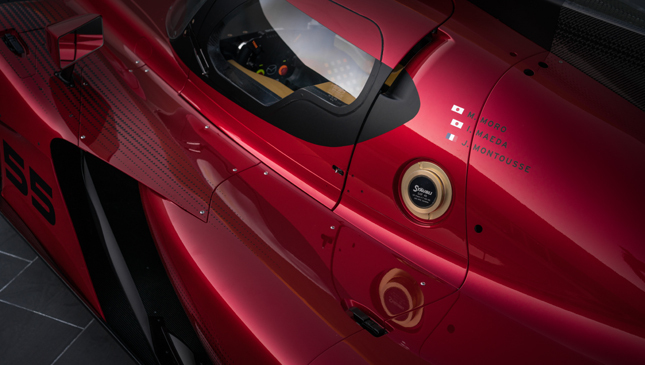 Recently unveiled at the ongoing Los Angeles Auto Show along with the all-new CX-5, the vehicle flaunts what seems to be a Soul Red paint finish and unmistakable Mazda design cues. 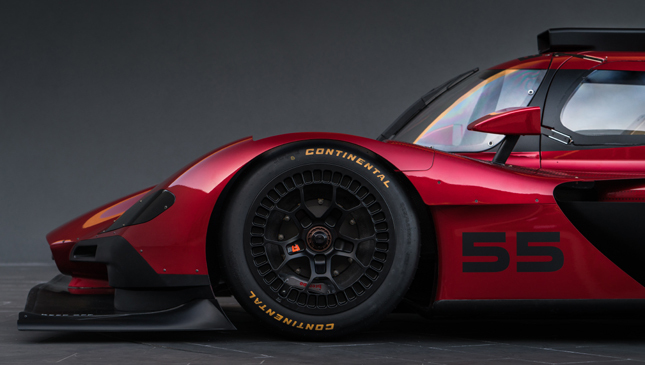 Just like the rest of Mazda's current-gen lineup, the RT24-P was sculpted around the Kodo "Soul of Motion" design philosophy. 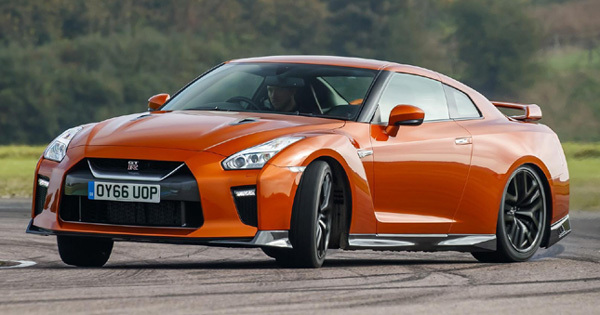 It features a similar five-point Mazda grille seen in the company's passenger vehicles, as well as muscular—albeit, sleek—proportions and aerodynamic bits. Designers worked hand-in-hand with engineers toward applying the style in a more performance-oriented manner, and the results are stunning. 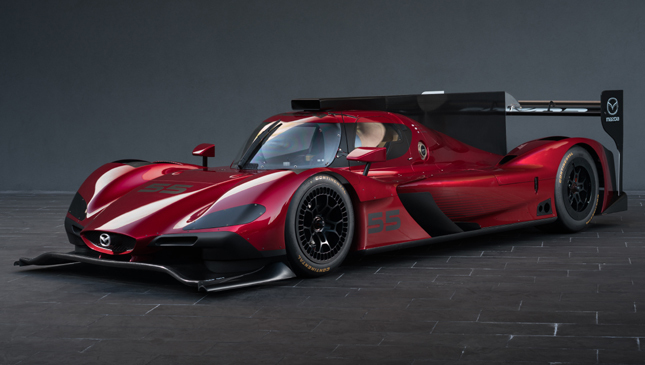 Propelling the RT24-P in competition will be a Mazda's MZ-2.0T turbocharged engine capable of 600hp.The race car is set to compete in the Daytona Prototype international early next year, and officials couldn't be more excited. 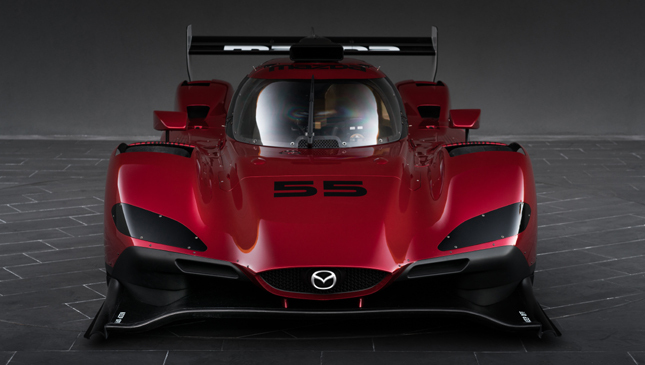 Mazda Motorsports North America director John Doonan says: "To have a car which features Mazda design language at the top level of our motorsports program is meaningful for us as a brand. We believe we have the right team, the right drivers and the right chassis to win races and championships." 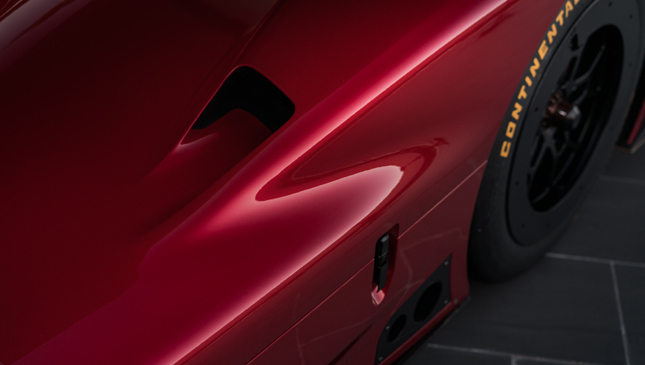 Form and function—now that's a partnership any car enthusiast can get behind. 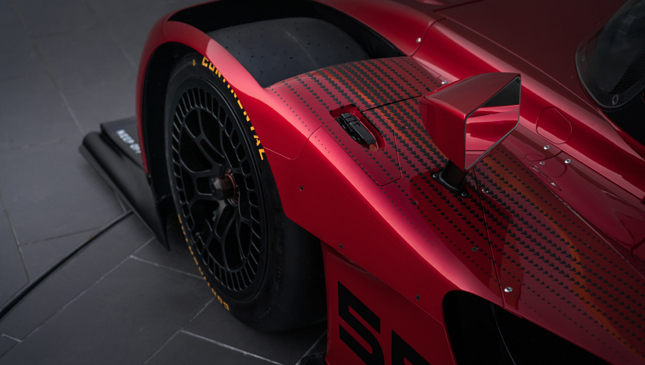 We'll see more of this thing after it completes its on-track testing phase in preparation for its debut.